New York Gov. Andrew Cuomo announced a projected $2.3 billion budget shortfall on Feb. 4, in what looks to be the beginning of a long-term revenue challenge for the high-tax state. Cuomo, a Democrat, blamed New York’s revenue woes on congressional Republicans and President Donald Trump. More specifically, a provision in the Republican-led Tax Cuts and Jobs Act of 2017, known as the state and local tax deduction, or SALT. Previously, SALT allowed residents in high-tax cities and states to deduct those taxes from their federal income tax liabilities. But under the new tax law, which takes effect for the 2018 tax year, those state and local deductions will be capped at $10,000. Last year, New York state’s average SALT deduction was $22,000. “SALT was an economic civil war,” Cuomo said gravely on Feb. 4. “It was a diabolical political maneuver,” he added. “It literally restructured the economy to help red states at the cost of blue states. That’s exactly what it did,” said Cuomo. Grover Norquist, president of the conservative Americans for Tax Reform, disagreed and said Cuomo’s reasoning is exactly backward. “He said we started a war. 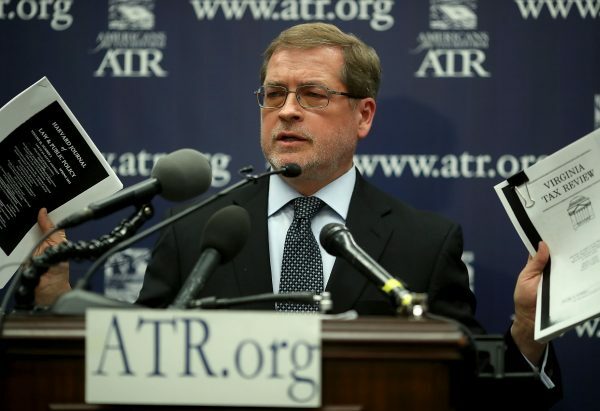 No, we ended a war,” Norquist said in a Feb. 5, FOX Business interview. Economic studies tend to support the conclusion that wealthier individuals living in high-tax cities and states disproportionately benefit from SALT deductions, thus putting more of the federal tax burden onto lower-earning individuals living in low-tax states, or those with no state income tax at all. According to the Washington-based Tax Foundation, the disparity among those who benefited from the previously uncapped SALT deduction is significant. “The benefits of the SALT deduction overwhelmingly go to high-income taxpayers, particularly those in high-income and high-tax states,” a Tax Foundation analysis states. 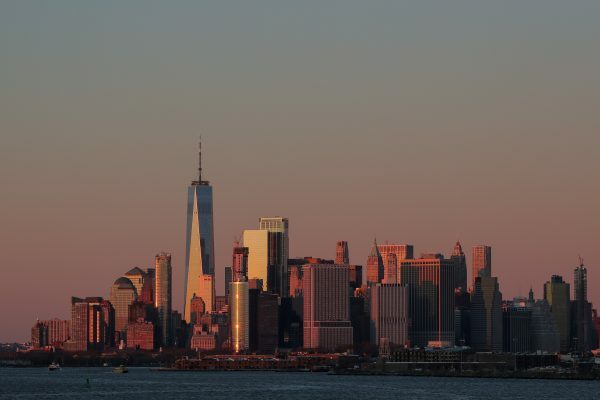 In the study, New York had the highest benefit of any state, with its residents receiving an effective tax deduction of 9.4 percent of adjusted gross income. The average across all 50 states and the District of Columbia was just 4.6 percent. California, another high-tax state, was responsible for 20.7 percent, or one-fifth, of all SALT deductions. Norquist predicted that House Democrats—many of whom hail from high-tax cities and states—will try to repeal the $10,000 SALT cap. But that puts them in the position of allowing the rich to go back to offloading a large portion of their tax liabilities, often onto working people—which is normally anathema to progressives. Compounding the problem is the steady migration of residents from high-tax states to low-tax states, which has been occurring for years. Cuomo acknowledged the issue during his Feb. 3 press conference, though he again blamed the recent tax reform law. “SALT encourages high-income New Yorkers to move to other states. If even a small number of high-income taxpayers leave the state it would harm state revenues,” he said. According to the Foundation for Economic Excellence, a libertarian think tank, people are already leaving high-tax states as part of a nationwide trend. And that spells long-term trouble for states like New York. “People move between states for many reasons, including climate, housing costs, and job opportunities. But when you look at the detailed patterns of movement, it is clear that taxes also play a role,” said FEE’s Chris Edwards, also the director of tax policy studies at the Cato Institute. Most of the fleeing residents are relocating to economic growth-friendly states, such as Utah, Arizona, Texas, and Florida. In 2014, Florida surpassed New York in total population, which has continued to increase. New York, however, ranked dead last among all 50 states in population growth in 2018. New York also faced an even steeper budget shortfall last year, but was able to balance its budget by reigning in spending. 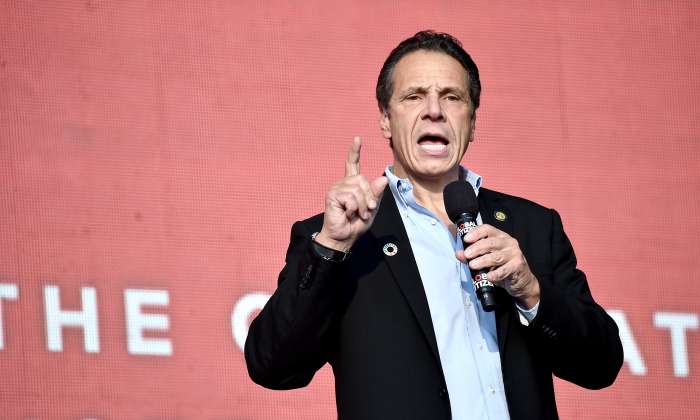 According to Cuomo’s fiscal year 2019 executive budget, the state faces nearly twice its current shortfall. “From the outset, this was going to be a difficult year for New York state’s budget. We face a $4.4 billion shortfall driven by declining revenues, expounded by a $2 billion cut in federal funding for health care that could rise to $5 billion in the out years,” the governor’s executive budget stated. Norquist was unforgiving following Cuomo’s newly bleak fiscal announcement.